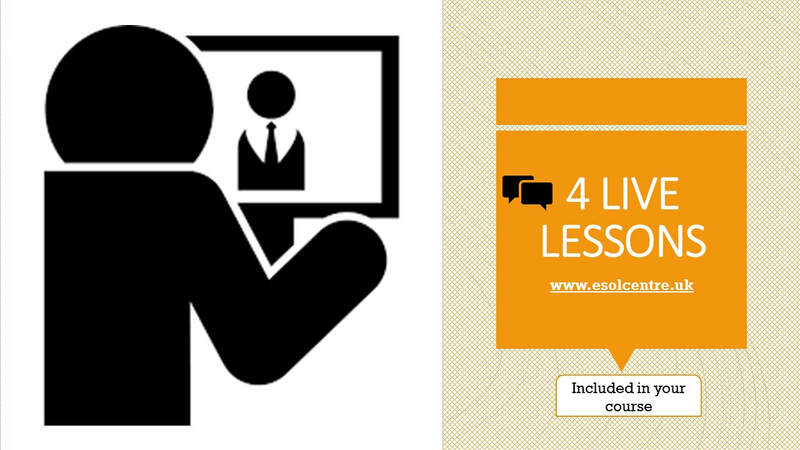 The learning materials for this online course cover ESOL Entry level 2; A2/CEFR. Some of the topics include: me and my family, work, homes, community and neighbourhood, shopping, health etc. 1. have access to a PC and fast internet connection in order to complete this course. System requirements: Windows 7, 8, 10. Updated Browsers: Google Chrome, Firefox, Safari, Opera. Desktop, tablet and mobile views are available. 4. commit to a learning/assessment schedule in order to complete the course successfully. Estimated study time per week is around 8 hours, including tests and tutorial(s). Note that this is only an estimation, the actual study time will depend on the individual.
! For absolute beginners, we recommend 1:1 online tuition prior to booking this course. This course is suitable for candidates with (very) little knowledge of the English language (current A1 Users/CEFR) who wish to develop their language skills: you can read/write simple few word instructions, (fully or partially) understand/participate in short conversations, have an English vocabulary of at least 100 words. The course consists of 4 Units (please, see course content for more info) and 5 tutor-marked assessments. Individual tutor support and guidance are available throughout the course. Explanation of the grade system: This level of study corresponds to Entry level 2/ A2 User from the Common European Framework of Reference for Languages: (see details on our Home page). For those learners interested in progressing to the next level of study, we recommend our online ESOL Intermediate course.